“My Love From Another Star” Initial Review: A Story of Love, Aliens, Immortality and Watching a lot of Vampire U.S. Shows. Hello. This is a Korean in America. We have been seeing K-dramas that are trying some new gimmicks to differentiate themselves from series that came before. And, usually they are just window dressing to spice up the basic K-drama format that we have seen tons of times before. Does “My Love From Another Star” which uses an “Alien” gimmick not very common in K-dramas break this practice? Like many of my colleges that talk about shows on the internet, I have seen a lot of shows during my life. This includes both U.S. and Korean Shows. As a Hollywood kid living in Korea during the end of U.S. syndicated shows dominance of the Korean air waves, I actually have seen more U.S. Shows than Korean shows. However, that is another story for another article. In any case, when you see a lot of stuff, you notice how the writers of these shows get their ideas or “borrow” them from other shows that came before their time. On one end of the spectrum, you see odd or obscure references here and there. On the other end, you see structural or thematic elements lifted from other shows and incorporated into a new show. In regard to this subject, Korean dramas are pretty interesting because of their homogeneity. I have mentioned in some previous articles such as the Kdrama 101 series, the Korean dramas are basically one single genre with multiple subgenres. As a result, Korean dramas have a very narrow set of story structures they utilize. More important to this article and “My Love From Another Star” is that Korean dramas are only interested in a few themes which include revenge, love, family, and etc. Because of this homogeneity, two things happen whenever a K-drama is trying to insert something out of its wheel barrel. First, it is very evident. Second, it never fully commits to this new thing. Rather, it is pasted on using duct tape. These two cover the case of “My Love From Another Star”. Before anything, we have to talk about Jun Ji Hyun. She is terrible in the first episode of this series. I have seen Jun Ji Hyun since she got her big shot in a printer commercial dancing on TV. She was instant smash hit and has been a mainstay in the Korean commercials for more than a decade. And this reveals what she is. She is a professional commercial model! She is not a professional actress. I am saying this as someone who watched her on TV for a long time and even saw 3~4 of her movies. Jun Ji Hyun has never been a professional actress. She has never displayed a talent in acting or an effort to learn how to act. Rather she treats acting as if it was the same as posing in commercials. With Jun Ji Hyun, she has gotten away with this by some degree because of her commercial know-how and the skill of the directors. Just look at her movies! You can just see how the directors use her and how they cut around her to limited the amount of actual acting required by her. In contrast, Jun Ji Hyun has not been able to really get into K-dramas because they do not have the time or patience to cuddle her. So, when you try “My Love From Another Star”, you have to take into account that Jun Ji Hyun will be the weakest link acting-wise. A good thing is that going into the second episode, the creative team seems to be getting a better handle on what her limits are. As a result, it is less jarring in how bad her acting is. Aliens didn't come down to Earth and give us technology. We invented it ourselves. Therefore it can never be alienating; it can only be an expression of our humanity. The plot is centered around a terribly mismatched couple who do not really have a hope in getting together. Not only is the female a so called “Top actress”, the guy is an “Alien”. Yes, that is an alien with a capital “A”. The “Alien”, who looks just like a Korean male for some reason and is wearing 21th century cloths when he first arrived on earth for some also unknown reason, has been around for more than 400 years. So, since he is male, we get two unnecessary shower scenes in the first two episodes alone. Also, since there is a fate element to the story, not only do we get flash back scenes set about 15 years before the present using a younger actress, we also get flash back scenes set during the Joseon period using the same actress. What is this show? Is this a Sci-fi show! Since there is an “Alien” in the show, you may think that it may be a science fiction show which is not really common in K-dramas. Do not get worked up! However, it is not really a Sci Fi show. The show seems to skew too much towards the off beat fantasy prevalent in K-dramas recently. To understand what this show is, we have to look at how the "Alien" is portrayed. He is just this being with some not well defined powers that is basically human but thinks that he is different. He is this somewhat alienated being that starts to form human contact by meeting this female. 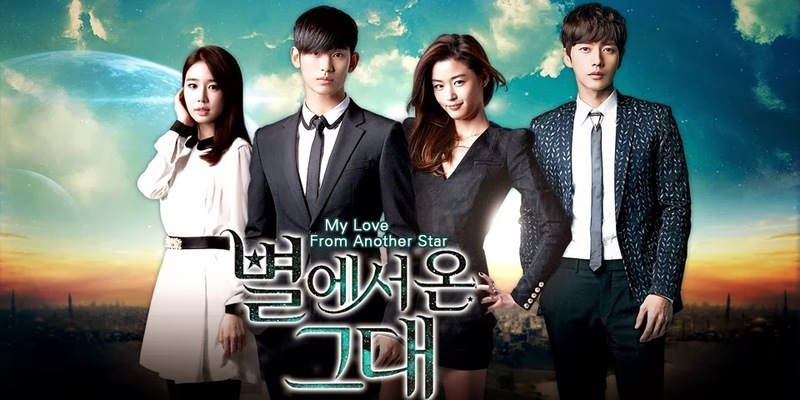 “My Love from the stars" has more in common with "Twilight" than anything science fiction. The interesting factor of “My Love from the stars" is not that it is a fantasy with some Sci Fi coating. It is that it is similar to the modern vampire genre coming out of the U.S.
Aliens, Vampires, and Immortality. Is the writer a U.S. Drama fan? While seeing the show, I got a feeling of Déjà vu. It was like seeing elements of various U.S. shows pasted on to a basic K-Drama skeleton. The fact that the basic K-drama format was strongly intact made the foreign element more pronounced. 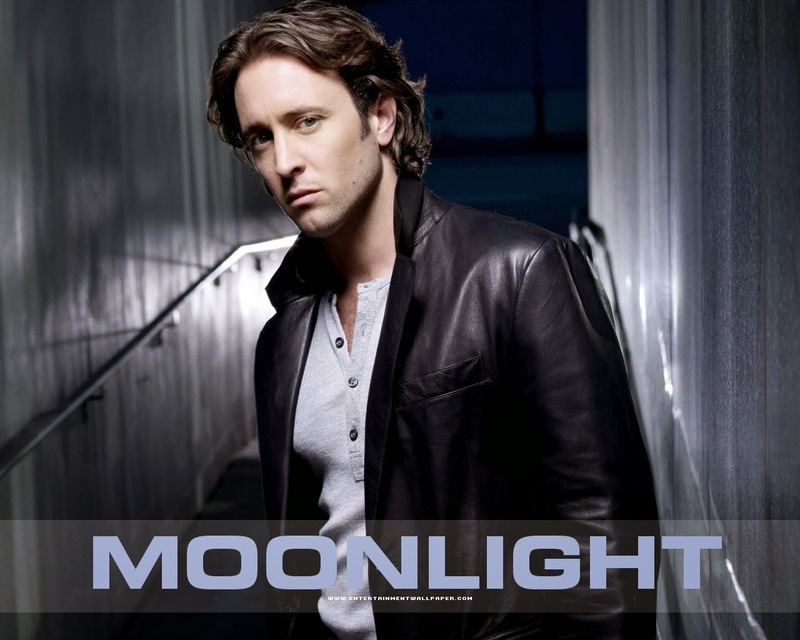 While the most of the characters are basically K-drama archetypes, the main relationship dynamic between the spoiled but lonely actress, who cannot act, and the alien is similar to that of the a canceled U.S. vampire show called "Moonlight". In that show, the main couple was formed by a mortal female and an immortal vampire. 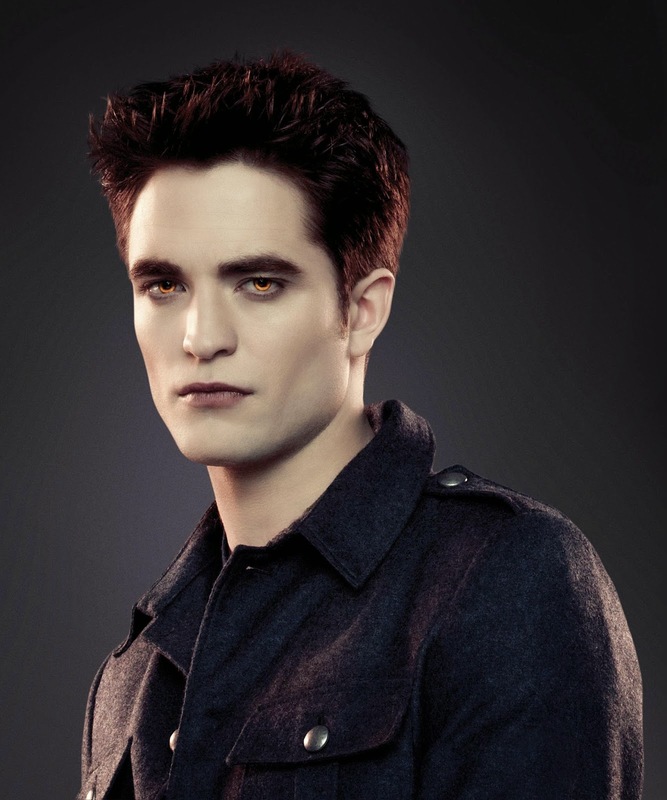 The vampire had saved the female when she was young and she had essentially imprinted on him. The two were then separated until the female was in her 30s when she had become an Internet journalist. Once the two reunite, it is clear that they are tied together with this unbreakable bond. You could even say it was fate. You see the similarities between the two shows! Even both of the shows have this odd interview style narrative in its pilots. 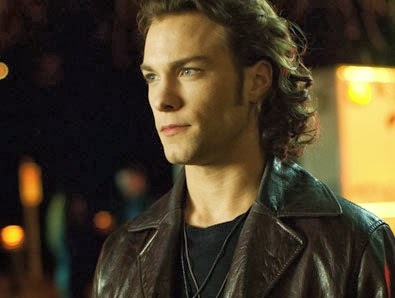 While both of them seems to take it from the movie and book "Interview of a vampire", in the case of “My Love from the stars", it is just weird. “My Love from the stars" is not exactly a copy of “Moonlight”. For example, the characters are not really the same. The female character is just a common K-drama archetype. The male lead is rather more interesting. He seems out of place with K-drama archetypes. He is distant and brooding. At the same time, I cannot say that the male lead of “Moonlight” and the male lead of “My Love from the stars" are a match. The male lead of “My Love from the stars “feels like an amalgamation of various immortal characters including “Henry” from a vampire TV series called “Blood Ties”, and Death from the movie “Meet Joe Black”. Toss in some “Dorian Grey” and you get the male lead of “My Love from the stars". Rather than being a knockoff, “My Love from the stars” is in the realm of being inspired by “Moonlight”. Not only is “My Love from the stars" inspired by one show, it seems to be inspired by modern immoral fiction which include vampire stories. This is where we get into some very interesting points. 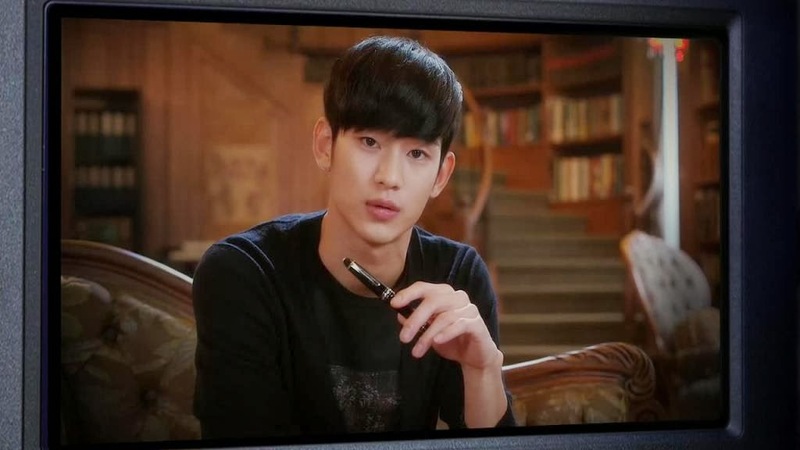 “My Love from the stars” actually tries to graph the theme of “immortality” on to a Korean drama which is very unique. An Immortal walking the streets of a K-drama… Will this be accept it or reject it? Because of its homogeneity, Korean drama and its audience have a very narrow scope of themes they are interested in. This includes family, wealth, revenge, and love. The theme of immortality is not something that interest mainstream Korean literature. What is immortality literature about really? It is the examination of one’s mortality and legacy. And Korean mainstream audiences have no taste for these themes. It even does not really cover the theme of “middle age crisis” which has become a common theme running throughout western literature. In Korean society, one’s mortality and legacy are tied closely to external social structures. At the wider end, society determines the value of one’s life. At the narrow end, family plays the same role. This is a partial reason for all the plots involving parental control over one’s children. This also true for the plots regarding the CEO of a conglomerate focusing on the organization itself as if that was the important thing and not the stuff that the organization can do for him. It is not just greed or power! It is the value and legacy of one’s life we are talking about. It is just that this is not determined by the individual but the smaller and larger societies. 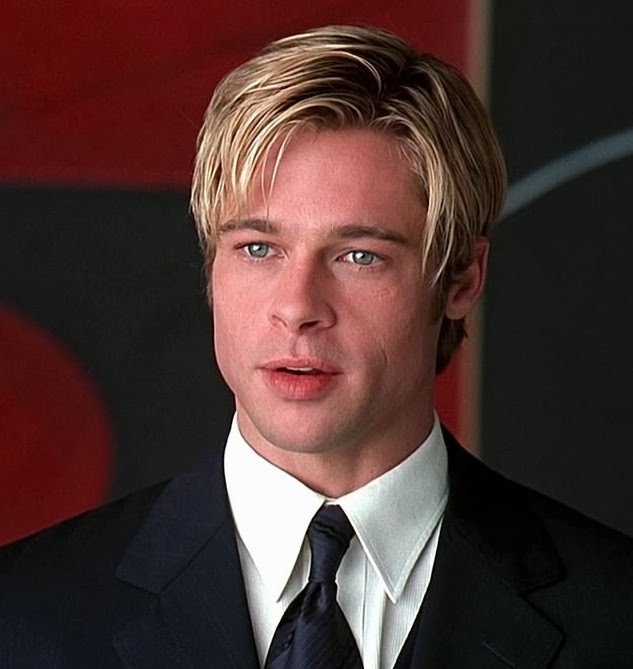 Immortality literature, which includes vampires, focuses on this problem also but on an individualist level. You are an immortal walking around and you see all the people you know die before you. It is the ultimate form of trying to find the value of one’s life isolated from one’s surroundings. For Koreans, this is a difficult concept to swallow or understand since we have been indoctrinated to evaluate ourselves using others’ opinions and not the opinions of ourselves. So, the fact that “My Love from the stars" is, at least, trying to incorporate themes that are as alien to Koreans as actual aliens is interesting. I think that this does make “My Love from the stars" special by this alone. If the show can keep this up using her star power, I can endure Jun Ji Hyun’s poor acting. I give “My Love from the stars" a recommendation to watch at least for 4 episodes. Score: a cautious B+ for the first 2 episodes.